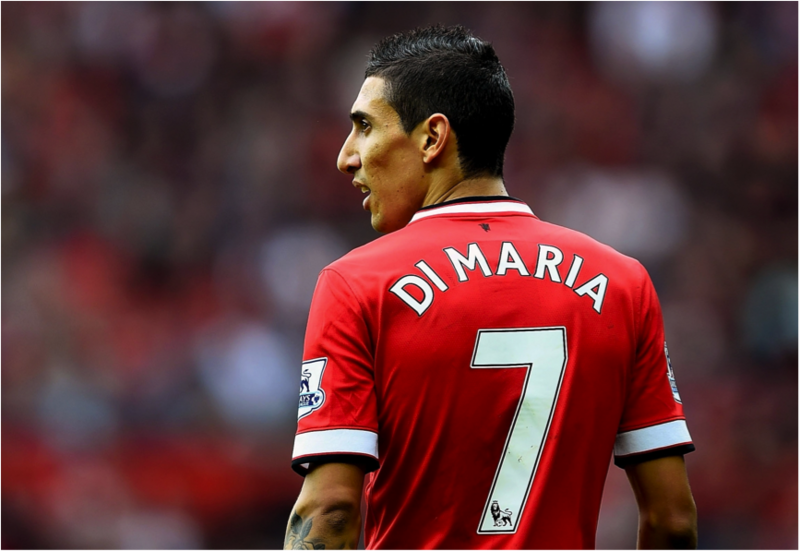 Home > Football > Will Angel Di Maria Prove he is a True Red Devil? After being named the best player in the 2014 UEFA Champions League final, Angel Di Maria would not have expected what was in store for him the following season. Having a huge role in helping Real Madrid lift their record tenth European crown and having a stunning personal season, the Argentinian was offered a new contract by the Spanish giants, but he declined. He felt he was worth more than what was being offered. He and the club had a contract stand off, and both were not budging. Even making his intentions clear with wanting to remain at Real Madrid, it would soon be clear that he would be departing the club. But who would his next club be? With French club PSG in the running to sign the 27-year-old and his likely destination, UEFA Financial Fair Play seemed to restrict the transfer going ahead. Step forward, Manchester United. After Sir Alex Ferguson’s reign ended at the club, fellow Scotsman David Moyes was the man chosen to take over from the club legend. But after a disastrous spell that only lasted ten months into a six-year contract, Manchester United needed a proven winner with pedigree. Louis Van Gaal had always had the intentions of managing in the Premier League, and with Tottenham in talks with the Dutch manager, Manchester United moved quickly and got their man ahead of the North London club. The 63-year-old charismatic manager had a monumental task of rebuilding Manchester United from their lowest ever finish in Premier League history. From champions in 2013 to seventh place in 2014, the club had fallen from grace. As Manchester United felt they needed a change in management, they also knew they would need a change in players. 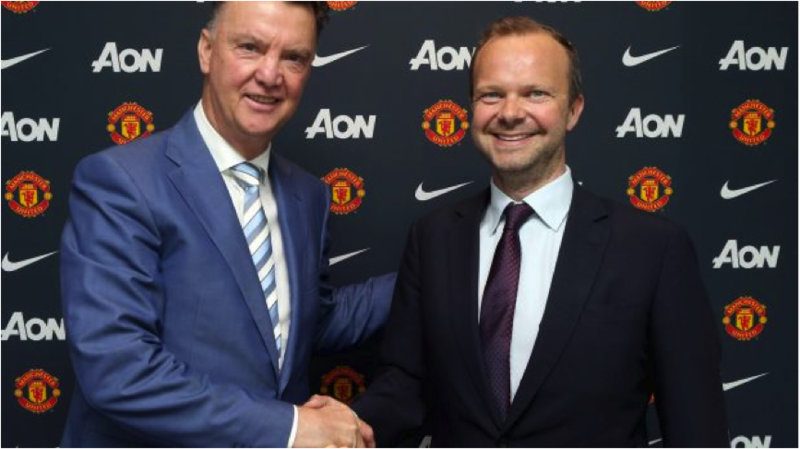 Louis Van Gaal and Ed Woodward (the executive vice chairman of Manchester United) had a huge job to do in the summer of 2014 to overhaul the squad. This was a team who lacked creativity and pace during the 2013-2014 season, which led to the dismissal of David Moyes. With recruitment essential to get Manchester United back in the running for Champions League football and challenging for titles again, the twenty times English champions had to spend big. And spend big they did. With Manchester United the only realistic option for Angel Di Maria after the collapse of a move to PSG, a fee was finally agreed that would move him to The Red Devils. How much? A British transfer record fee of £59.7 million that eclipsed Fernando Torres’s previous £50 million move from Liverpool to Chelsea. On the 26th of August 2014, the signing of Di Maria to Manchester United was complete. A left footed winger that has pace, trickery, creativity and an eye for goal. A player with similar traits to club legend and assistant manager: Ryan Giggs. A move that sent shockwaves around world football. A player that was deemed to the best performer in the Champions League final of 2014 would be no longer competing in that same competition the following season. With a blistering start to his Manchester United career, with three goals in his first five appearances, the pacey winger seemed to have no trouble settling in to life at Old Trafford, or the English game. 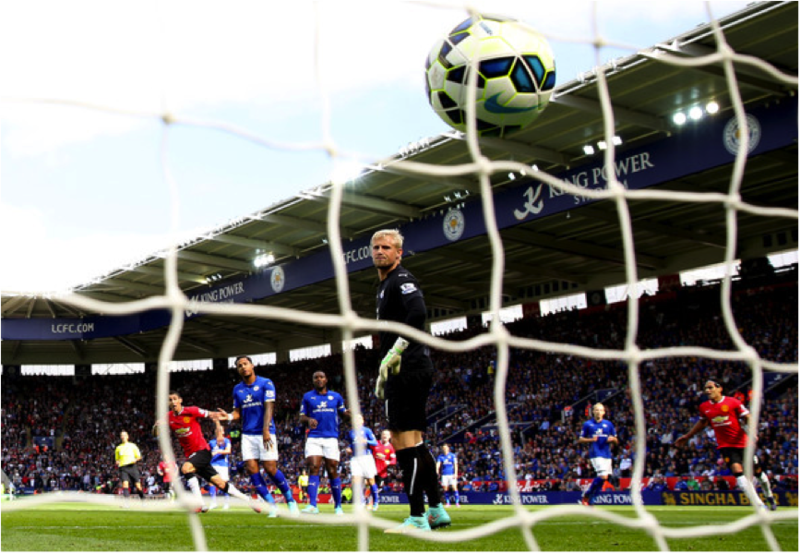 Manchester United fans were licking their lips after the Argentine scored a sublime goal against Leicester City with a classy deft lob over the hapless Kasper Schmeichel. But then on the 2nd February 2015, his home was burgled and his form took a dramatic turn for the worse after this incident occurred. Coincidence? Maybe, maybe not. The second half of the season for the Manchester United man went horribly wrong. Losing his place in the team to a resurgent Ashley Young left the British record signing watching games from the bench. This did not help his confidence, or his following performances when called upon. Although Di Maria had a role helping Manchester United finish back in the Champions League places with some assists, no more goals would follow during a poor run of performances. Also a petty sending off in an FA cup-tie against Arsenal did not help his cause to get back into the Manchester United team. But Manchester United set out what they aimed to do at the start of the season, finish in the top four of the Barclays Premier League season. As for Di Maria who is currently playing for his country in the Copa America, he is producing performances reminding the football world he has not turned into a bad player overnight. Questions have been asked if he would pursue a move at a different club at this point in his career, he states he will return to Manchester United and prove his £59.7 million price tag. He has faced adversity before when he first moved to Real Madrid from Benfica, with fans booing him during a difficult spell. He won them over with performances and a stunning 2013-2014 campaign which ended in 11 goals and providing a record 22 assists, higher than anyone from the top four European leagues (England, Spain, Italy and Germany). Some players take a while to settle into the fast pace and intensity of the Premier League; some players do not settle in at all. 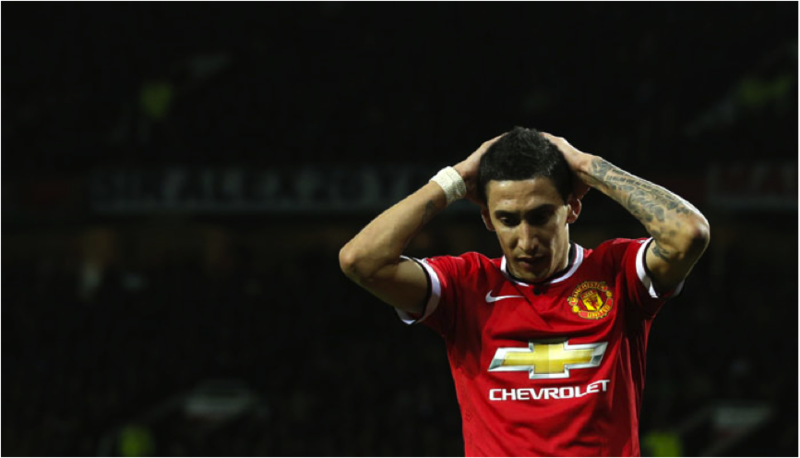 Will Angel Di Maria prove his worth? Only the new campaign will tell. Manchester United have had an Argentinian midfielder who cost them a then British record fee of £28.1 million back in 2001 in Juan Sebastian Veron, which has similarities to Angel Di Maria’s move to Old Trafford. Veron did not seem to adapt to the Premier League and did not live up to his hefty price tag. He was later on moved on to Chelsea in 2003 for a lesser fee. But there has been another Argentine at the other Manchester club, in Manchester City who has already become a club legend in blue. Sergio Aguero, arguably the most successful Argentinian footballer in the English game. Which way will Angel Di Maria go? Will he follow in the footsteps of Juan Sebastian Veron, or will he set the Premier League alight like Sergio Aguero? With Manchester United back in the Champions League and seem to be recruiting heavily again this summer for a title surge, the stage for Angel Di Maria is set. Will he continue to fall from the heights he reached in his final Real Madrid season? Or will he show why he was the best player in the Champions League final of 2014, and why Manchester United heavily invested in him. Only time will tell. But all football fans will be intrigued.